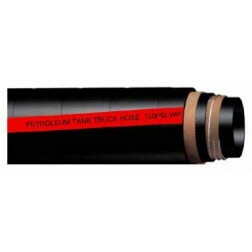 The industry standard for tank truck, in-plant and oil field loading operations requiring a strong yet flexible hose. 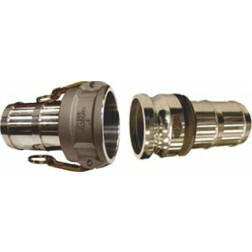 Handles gasoline, oil and other petroleum based products. 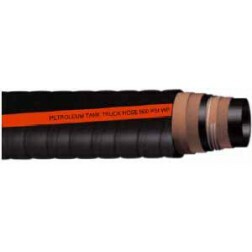 A world-class hose for tank truck, in-plant and oil field loading operations requiring a strong yet flexible hose. 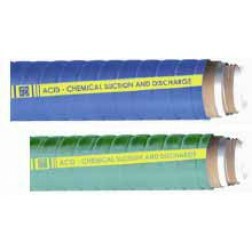 Dramatically improved flexibility (one to one ration) for ease of handling. 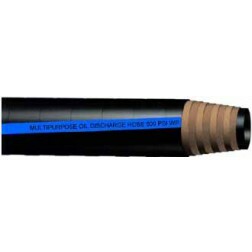 Designed for offshore drilling and other demanding applications where longer lengths and fewer connections are desired. 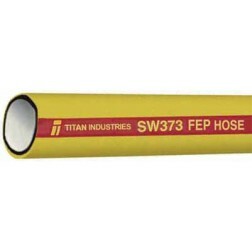 Premium hose design for superior performance and higher working pressure in tough environments. 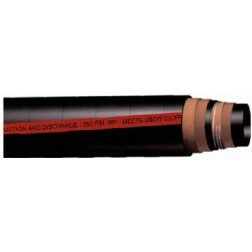 Cover withstands exposure to weather, saltwater, sunlight, and oil. 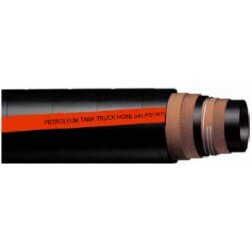 Heavy duty and high pressure tank truck hose for the most demanding applications. 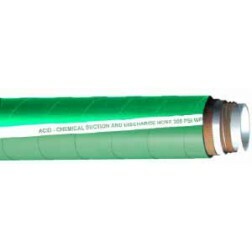 Cover withstands exposure to weather, saltwater, sunlight and oil. 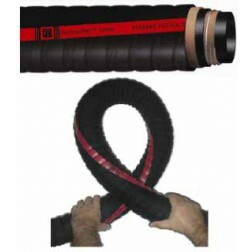 Reinforcement: High tensile strength synthetic plies, Helix wires Ends Soft cuffs on 200ft lengths. Add on for Part C and E Stainless Steel Cam. 1" 1-1/2" 1-1/4" 2" 2-1/2" 3" 3/4" 4"